Many of the body’s joints, such as the knee, permit limited movement. However, the shoulder is an incredibly flexible joint, allowing the arm to move and rotate in many directions. To accomplish such a range of motion, the shoulder joint has a complicated structure. The upper arm bone (humerus) fits into the shoulder blade (scapula), while the collarbone (clavicle) connects the shoulder blade to the breastbone. The rotator cuff is a group of muscles and tendons that support the bones of the shoulder, and the bursa is a small sac of fluid that protects the rotator cuff. The shoulder joint’s sophisticated structure makes injuries common and can complicate diagnosis when pain occurs. Aging. Decades of wear and tear, plus the onset of arthritis, gradually weaken the complex shoulder structure, making injuries more common after the age of 40. Playing certain sports.Repeatedly throwing a ball or swinging a tennis racket with force increases the likelihood of injury. Occupation. Active jobs such as painting and carpentry require repetitive overhead arm motions. Previous injury. Even a minor shoulder injury can weaken the joint over time or lead to arthritis and the possibility of a more serious injury later. In most cases, a physician will try to exhaust conservative treatments before turning to surgery. A doctor’s instructions could include applying ice to the shoulder and taking anti-inflammatory medications. Cortisone can be injected during an office visit, reducing most shoulder pain after one or two injections. An ultrasound can help the physician target the medication to the exact location. Ongoing physical therapy aids in restoring function. A physician will consider surgery before conservative treatment if pain clearly results from a recent injury. For example, someone with normal range of shoulder motion who falls and then cannot raise an arm due to a rotator cuff tear might be a good candidate for immediate surgery. Surgery might also be a good remedy for long-term pain when conservative treatments have not had success over the course of three to six months. At this point, an MRI can assist the surgeon in determining what action to take. Thanks to modern technology, minimally invasive surgery is common for many shoulder injuries, including minor rotator cuff tears, bursitis, and dislocation. During an arthroscopic procedure, the surgeon inserts a small camera into the shoulder through an incision as small as one-eighth of an inch. The camera relays images to a video monitor so the surgeon can guide miniature surgical instruments, inserted through another tiny incision. Arthroscopy typically is an outpatient procedure, with recovery at home. Traditional open surgery remains the treatment of choice for certain shoulder problems when conservative methods have not lessened the pain significantly. Open surgery might be indicated for a large or complex rotator cuff tear. Traditional surgery also is common when age-related arthritis wears away so much of the cartilage cushioning the bones of the shoulder that a shoulder replacement becomes necessary. Recovery time varies depending on the type of surgery. For example, following arthroscopy for an impingement, it may take four to six weeks to regain range of motion and then another six weeks to return to full strength. After surgery to repair a large rotator cuff tear, it might take six months to return to pre-injury activity levels, and a year to use the shoulder joint with full confidence. Whether treatment for shoulder pain involves conservative measures or surgery, it is important to follow prescribed physical therapy and activity guidelines. That means pushing hard enough to make progress, but not so aggressively that re-injury occurs. The result will be the optimum restoration of range of motion and the greatest relief from shoulder pain for years to come. 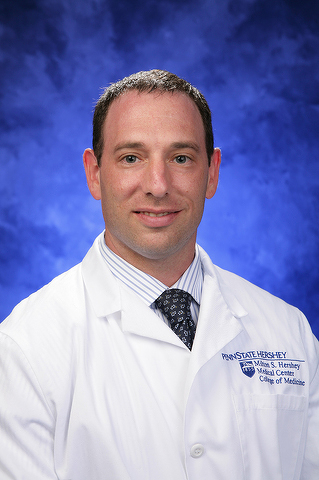 Dov Bader, MD, is an orthopedic surgeon with Penn State Sports Medicine located at 1850 E. Park Avenue, Suite 112, State College. For more information, call (814) 865-3566. 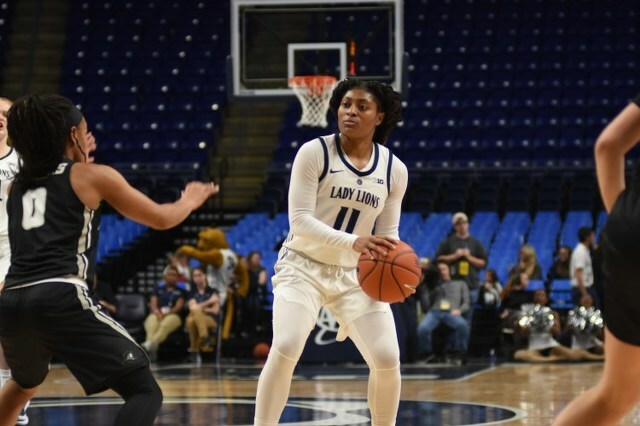 Penn State women’s basketball (5-3) got back on track Sunday with a gritty 80-61 win over Jacksonville (3-5) at the Bryce Jordan Center. Fueled by a strong defensive performance, the Lady Lions held the Dolphins to a mere 31.3 percent from the field for the game. Teniya Page and Kamaria McDaniel led the way offensively, combining for 44 points.